“Philadelphia, June 25; Mr HC Crowhurst of The Press has received a letter from Secretary Thomas Watson of the Sunderland Association Football Clubs, England, stating that that organisation will probably send a team to this country in May (1895) for a three months series of games in the United States and Canada. Games will probably be played in New York, Baltimore, Brooklyn, Boston, St Louis, Pittsburgh and this city”. The Sunderland Daily Echo and Shipping Gazette had already carried this story and on 10 July 1894 at a meeting of the club, reported in the aforementioned, Tom Watson confirmed that planning for the tour was in an embryonic state. The problem, he said, was not money but with trying to fit it into the American Football season. “The shipping trade is very quiet here and work on the whole is very dull. The visit of the Sunderland football team here next season (I mean next May) is looked forward to with much pleasure. The secretary of the league here ensures me that they will be well entertained and that they are sure to be a success. But are our league players going? The matter I believe is still the subject of negotiation”. By 15 September the arrangements were even more advanced and it was reported locally in Sunderland that Sunderland would play their last match of the season on Easter Monday, leaving the next day for Liverpool, and sailing the day after that for New York, with the intention of engaging in a dozen matches against the best American teams in the States and Canada. The Echo used as a source of their information from across the Atlantic an ex pat from Wearside called Mr Nichol who had been raised in Sunderland and was previously based at the West Wear Street shipping office, before emigrating to New York five years previous. Nichol reckoned that most of the players in the USA were amateurs and members of colleges, of which Yale were the best. 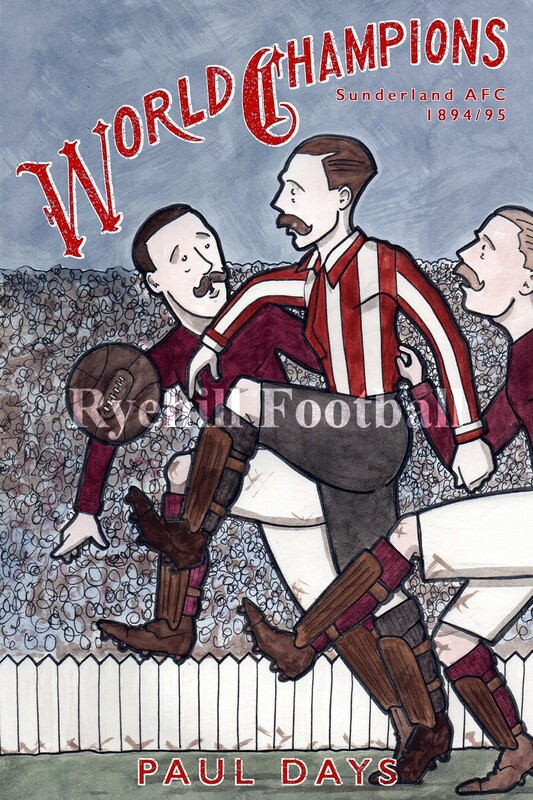 However encouraging words were spoken of the Canadian footballers, Sunderland had of course already played the Canadians in the late 1880’s at Newcastle Road and saw at first hand how good they were. Satisfactory guarantees had already been given by Captain Rogers, President of the Philadelphia League, and Sunderland had been promised a tour that would make some money. Rogers even went so far to say that a tour by Sunderland AFC may even persuade the Americans to drop Baseball in favour of Association Football, surely a tall order! Four days later and The Echo were confirming the tour as good as sealed. Sunderland’s “engagements at the other side include twelve matches; ten with clubs, and two with representative teams one standing for America and the other for Canada. The team will be on the great continent six weeks and during that time, we believe, they will delight Uncle Sam”. On 3 October The Echo carried a report from a UK based periodical named The Black and White (sorry! ), which also mentioned details of SAFC’s intended transatlantic tour. One month later and the story continued in The Echo but then after that; nothing. Mysteriously the tour appears to have been cancelled. Its a shame really that it never took place as the Americans would have got too see the newly crowned World Champions, it would have cemented our pioneering reputation and spread our name into a new continent. Alas it wasnt to be and even sadder….we dont know why! Of course the club would eventually appear in the USA in the 1950’s and take part in a North American based competition as The Vancouver Royal Canadians, the forerunner of the NASL and MLS, in 1967.